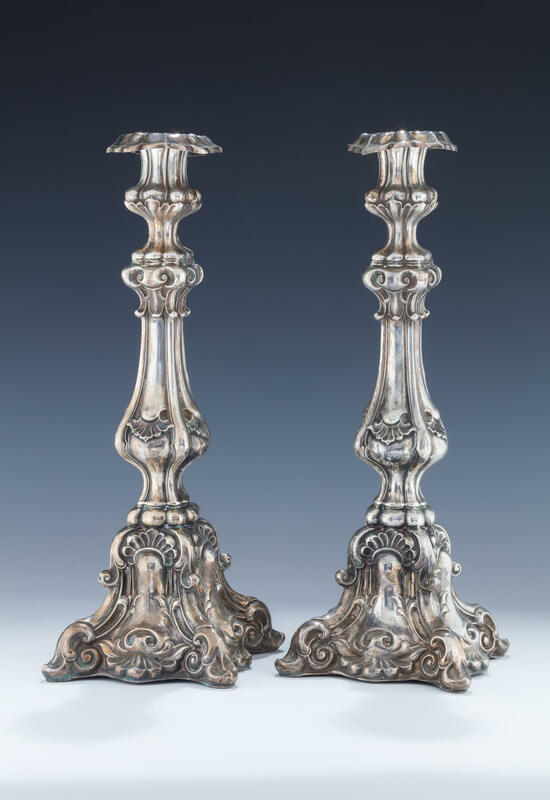 A PAIR OF VERY LARGE SILVER CANDLESTICKS. Poland, c. 1830. In Baroque style. Chased with C-scroll designs. With original bobeches. Marked 11 loth. 15.3” tall.